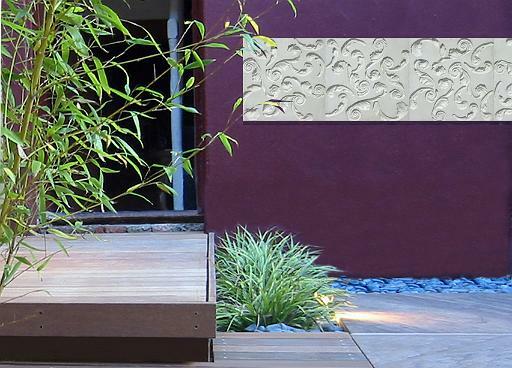 Effusive thanks to My Landscapes - London-based contemporary garden designers - for the loan of images of their stunning gardens which have allowed me to contextualize my friezes and tiles in an exterior setting. The images below are mock-ups but I think they give a good idea of one of the ways these designs can be used. My Landscapes come up with some brilliant lighting effects which create an amazing atmosphere. As the friezes are relief, the play of light and shadow is important in order to bring out the design and detail. When I created this range my intention was for them to be placed in an ultra-modern setting as I love the contrast of Modernist simplicity with Baroque ornament. 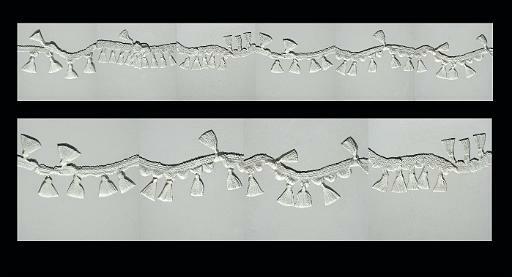 In developing this design I cast directly from swags of silk taffeta and it was the first frieze in which I explored the concept of casting from real-life materials. It was the next stage of development after the Baroque Tiles - those were cast from 'found' ornament, but I moved on to casting from motifs I created myself. 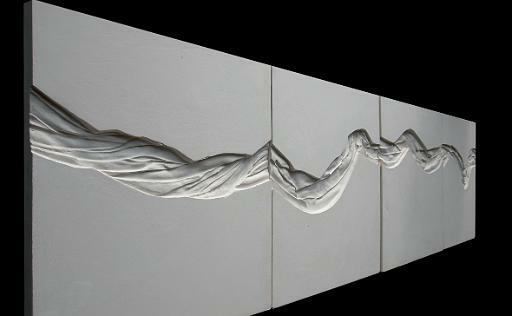 I like the idea of just a minimal intervention on the wall. Swag & Drop Tile - another of the Baroque Concrete Tile collection. I really like concrete in it's raw colour - just grey Portland cement with sand. 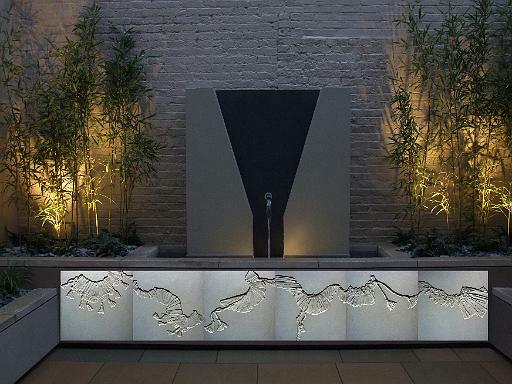 It's interesting to apply such an industrial rugged material to a piece of elegant decoration. Tassels are a motif I keep returning to and have used in different scales in various projects. I am just developing a brand new design based on tassels - watch this space! 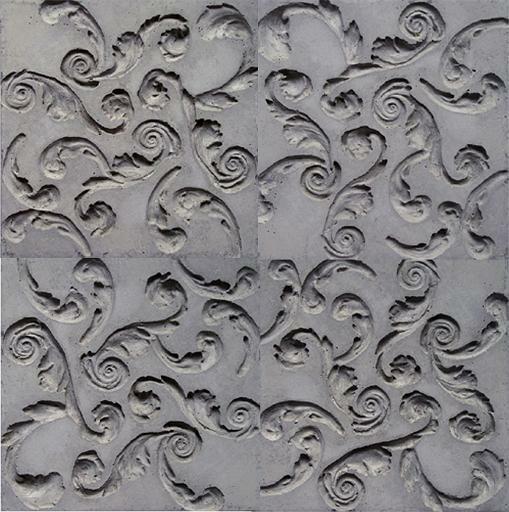 Swirl Tile - another of the Baroque Collection. 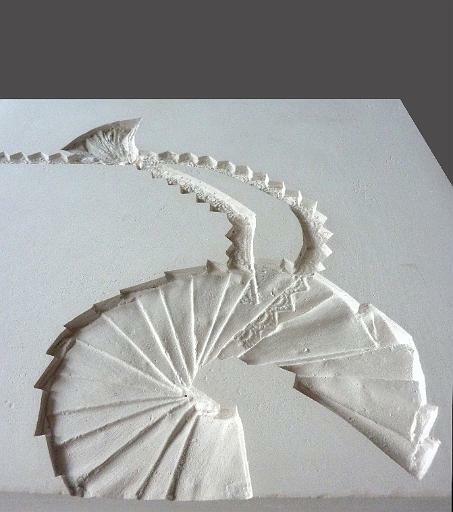 This design is made up of left over, random curlicues rescued from some extravagant Baroque creation! Ribbon Swag Tile - another from the Baroque collection. Thanks again to My Landscapes - it was fantastic to take a virtual tour around your amazing gardens and view my art work in such stunning contemporary environments. 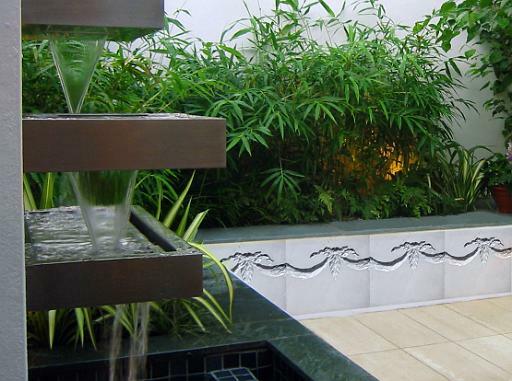 Fantastic blog!I have hardly came across with nice informative blog like this..Great work done..I would like to have more from you in the future..
Tiles in the garden is very good option. 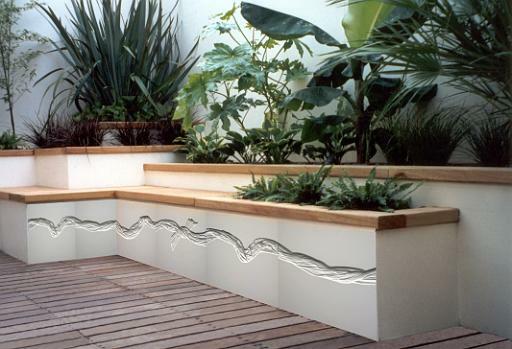 There are many designs to make your home garden beautiful. You can choose anyone design whatever you like. All interior designs are very good.